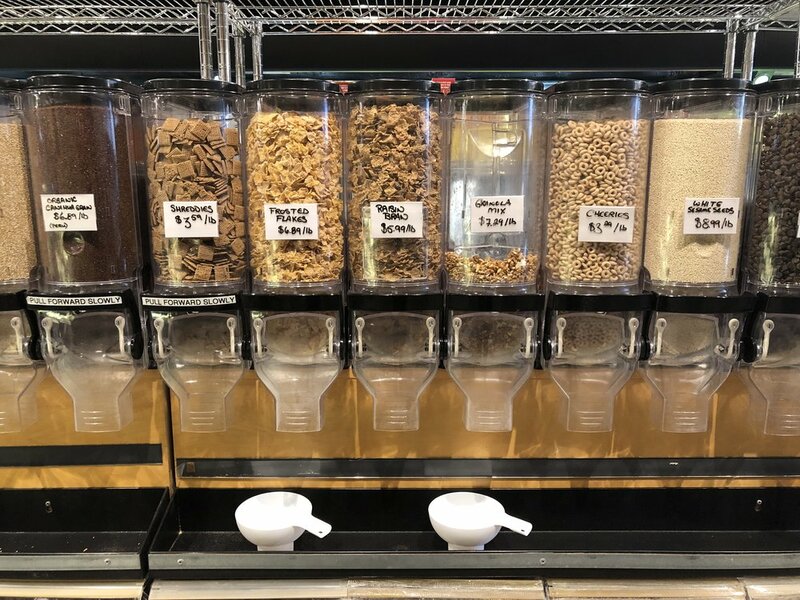 Unboxed Market, Toronto’s first zero-waste grocery store, aims to tackle the idea of eliminating single-use plastics that are potentially harmful for the environment. Michelle Genttner, Unboxed Market’s co-owner, believes that everyday plastics used on produce in grocery stores and packaging items of food is excessive and avoidable. “You go to stores and there are individually wrapped potatoes and cucumbers. Next they're going to start individually wrapping grapes,” she said. Genter says consumers tend to go through layers upon layers of plastic waste in the process of bringing home food from the supermarket. “It just gets so ridiculous that you’ll have to open up all of these things to get to your food, which you’re going to wash or peel anyways before you actually eat it. So this extra absurd step doesn’t make any sense, especially with plastics,” she said. Using a “take what you need” approach, the store charges based on exactly how much of a product a customer needs. Food items such as oil and milk are sold on tap, and are charged per litre, as well as home essentials such as detergent, conditioner, soap, and body wash. Spices, salts, and dry goods are available self-serve style, and eggs are charged loosely by each single egg. Customers can bring containers from home and weigh them in-store, where it can then be filled with product using the self-serve layout. If customers do not have their own container, they can pay two dollars to either borrow or purchase one that the store provides. Cloth bags that can be reused are also available for sale throughout the store. At checkout, the weight of the container is deducted from the total weight, and customers will only be charged for the amount of product in the container. Customers are then encouraged to wash and reuse the containers when they come back to the store, making the transaction practically waste-free. “By making sure that we’re not bringing in extra packaging, we’re not adding more damage to the world than what already exists. It’s completely unnecessary,” Genttner said. According to a report released in 2018 by Canadian environmental group, Environment Defence, Canada only recycles around 11 per cent of all plastic used in the country. 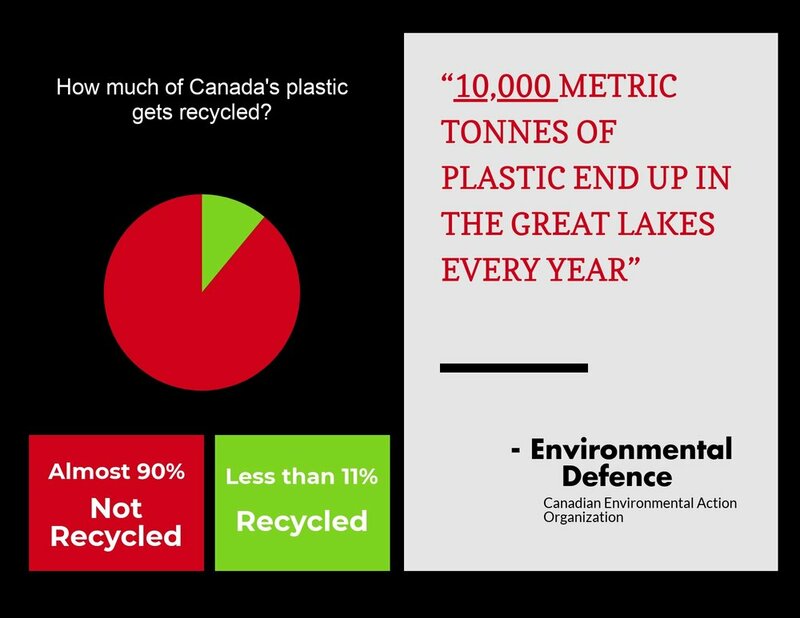 The report revealed that around 10,000 metric tonnes of plastic waste ends up in the great lakes every year. Plastic pollution in landfills and bodies of water are known to be destructive to ecosystems and harmful for plants and animals. The report by Environment Defence also claims that one in three sea turtles, as well as more than half of the whale and dolphin population, have eaten harmful plastics, leaving no room for food and causing them to starve with full stomachs. According to the report, Canada does not currently have laws pushing big chain companies to use recycled resources in manufacturing new plastic goods, and there are no bans on toxic and hard-to-recycle plastics. 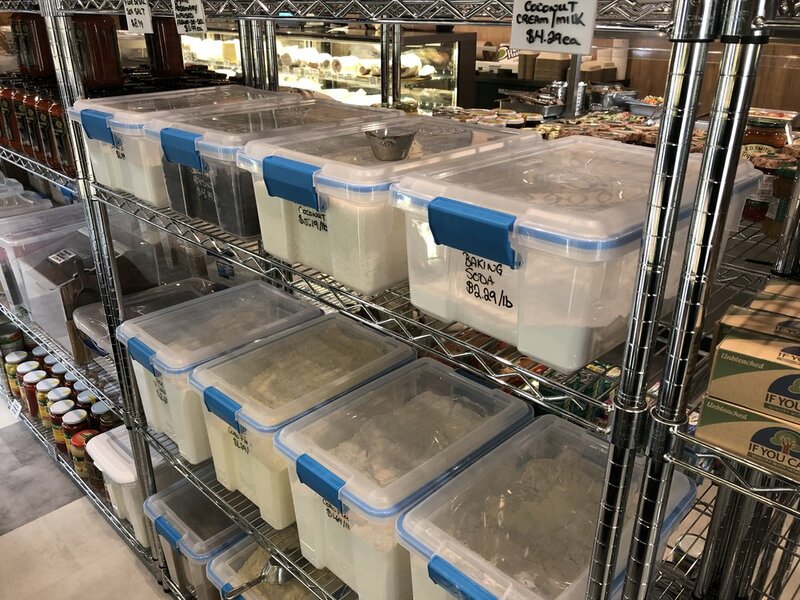 Genttner hopes the zero waste movement will encourage consumers to push larger chain companies into incorporating methods towards the movement and eliminating single-use plastics. “If you have small stores like this then the voice gets bigger, you can start to influence the manufacturers, the government, and distributors by telling people that you need to find an alternative to this,” she said.